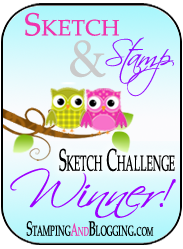 Hi Stampers, Today we have a sketch challenge and when I saw it I knew right away which stamp set I was going to ink up. I ordered the Stylish Christmas stamp set and it was just waiting to get used. Today’s sketch was perfect for the beautiful flourish and flower in the set. Enjoy! Simply stunning Kristi! Your stamping is just perfect and I love this design! Gorgeous! That’s a great set and you used it magnificently. thank you Karen, Love the flourish the BEST! Kristi this is gorgeous😊 Love everything about it. Kristi, you are SO right about that stamp set being perfect for the challenge sketch. Beautiful card. Love your colors too. Beautiful take on the sketch!!! Your design is just so pretty. I like everything about this card! I especially like that it covers the whole front of the card. I usually only put words inside. I like how you added the holly leaves. Your card design literally took my breath away! And just when I thought I was done with Christmas cards, too! I’m going to have to get started on next year’s cards, now, huh? Many thanks for such a beautiful card.